VANCOUVER—Two illusionists are coming together to create a Vegas-style magic stage show at the Metro Theatre from April 21-23. 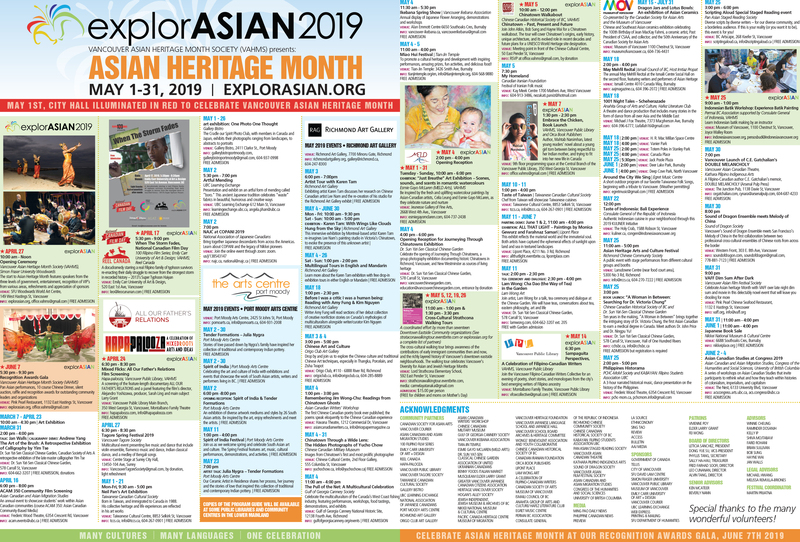 Oslen, a semi-finalist on Canada’s Got Talent, who has performed his act in front of sell-out crowds around the world, and Kel, an award-winning magician who has performed sold-out shows at the Michael J. 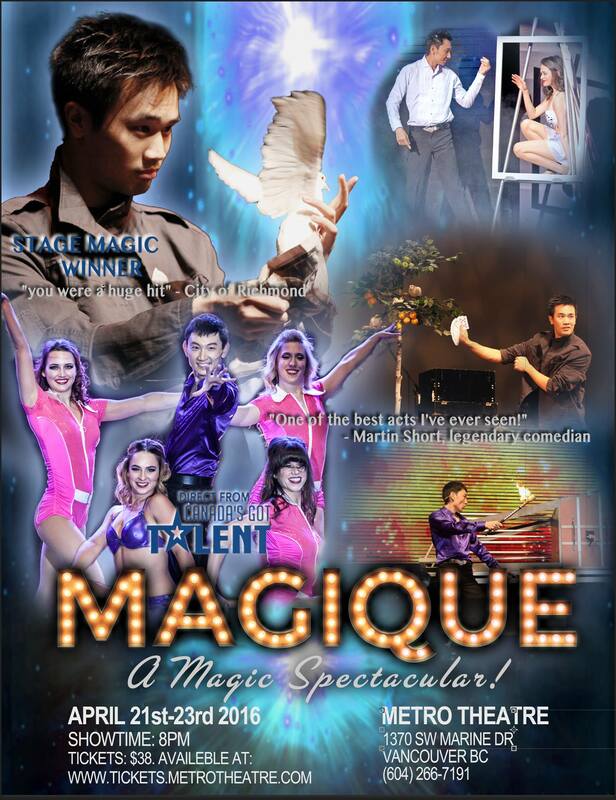 Fox Theatre and Massey Theatre, are joining forces to create “Magique–A Magic Spectacular.” The show combines cutting-edge illusions, music, dance, comedy, audience interaction and precision sleight of hand. Oslen, who was the only magician to make the semi-final round of Canada’s Got Talent, is the winner of the CCTV Best Performance award. He’s a professionally trained actor, dancer, singer, radio announcer, magician and illusionist. Kel, whose act has appeared on Fairchild TV, Fairchild Radio and Channel M, offers a combination of comedy and skillful sleight of hand that has left audiences spellbound. Tickets $38 plus tax and s.c., and are on sale now and available by visiting http://tickets.metrotheatre.com. Tags: explorASIAN 2016, Magique. Bookmark the permalink.